Hot-dip galvanizing is one of the most economical, maintenance-free corrosion protection systems available. 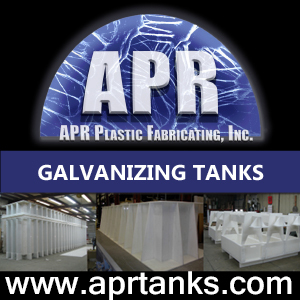 Like any other manufacturing process, hot-dip galvanizing requires conformance with established specifications and is inspected to ensure compliance with such specifications. 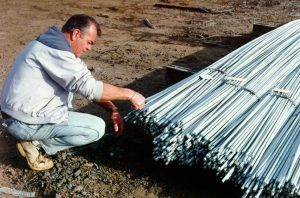 When specifying galvanized steel in North America, you should be familiar with a number ofASTM specifications, including three main standards and several supporting specifications. The following pages will list and summarize the pertinent ASTM specifications as well as a few other international galvanizing standards. If you would like a compilation of the current ASTM specifications on hot-dip galvanizing, you can purchase a copy from this site, or contact your local galvanizer. Inspection of hot-dip galvanized steel is also simple because zinc will not react with unclean steel. Therefore, visual inspections are very accurate and easy to perform. Coating thickness is an important requirement as it directly relates to the effectiveness of hot-dip galvanizing as a corrosion protection system because zinc thickness is linear to the life of the coating. However, measuring coating thickness is only one of the requirements in the inspection process, other key items include adherence, appearance, and finish. The AGA offers a free, online Inspection Course to assist in training individuals on proper inspection techniques and requirements for hot-dip galvanized products. The AGA also offers a free Inspection of Galvanized Steel App, which is a great tool to use during an inspection if you have concerns. Additionally, the AGA has a variety of publications on Specification and Inspection topics available for download.